“Gentlemen, I give you the German Shepherd…” writes Dorothy Eustis in the November 5, 1929 Saturday Evening Post in an article that has changed the lives of tens of thousands of blind and visually impaired persons for nearly eighty-five years. In that world-changing article, Ms. Eustis didn’t simply give us the German Shepherd; she gave us The Seeing Eye Dog. Dogs have been used as working animals for thousands of years. Ancient peoples used dogs to pull sledges or turn spits for roasting meat. Sailors used dogs to jump into the water and retrieve objects fallen overboard or help pull in nets. And, of course, dogs have been used to guard and protect and even fight in wars. But possibly the noblest of callings for a dog is the service dog to persons with disabilities. Ms. Eustis witnessed dogs being trained for aid to blinded German soldiers after World War I, and began to develop the idea of this benefiting blind persons in general. 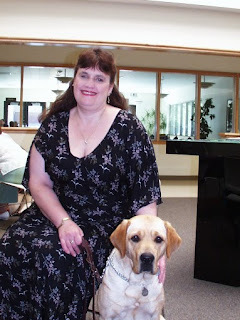 She worked with training in Switzerland until, fully convinced, she wrote her article and introduced the United States to the concept of dogs that could be trained to guide persons who are blind or visually impaired. After that article in the Saturday Evening Post, a young blind man named Morris Frank contacted Ms. Eustis and asked for her to train him with a dog. She took him to Switzerland, where he received “Kiss” a German shepherd female. Appalled at the name, Frank renamed her “Buddy”. Buddy and Frank trained together, returned to the US, and stayed together as a working team until Buddy could no longer work. During that time, The Seeing Eye training got underway. At first, the trainers went to different parts of the country to train the dogs and the people. Then they opened a campus. That campus moved a couple of times before it settled in its current location outside historic Morristown, New Jersey. Meanwhile, other training schools opened up. Leader Dogs for the Blind http://www.leaderdog.org in Rochester, Michigan, in 1938, (sponsored by the Lions Clubs), Guide Dogs of San Rafael http://www.guidedogs.com in San Rafael, California, in 1942, and Guiding Eyes for the Blind http://www.guidingeyes.org in 1954. Others schools exist and come and go, and these are the four most prominent schools. Through the work of the schools, their supporters, and alumni, laws have been enacted to give persons with service dogs access to public accommodations such as restaurants, stores, and transportation. Even more so, it allows blind persons to travel more safely and with greater confidence across farmland and through city streets. Puppies are born at or near the training facilities, then raised by families to socialize them until they are around twelve, to eighteen months or older. Then they arrive at the school where they live in kennels and work with trainers to learn their work. This is like doggy university. When they graduate from that training, they are then paired with a blind person needing the dog for mobility purposes. The blind person spends two to four weeks training with the dog before going home, where the true training and bonding takes place. Now dogs are used to help persons with all sorts of disabilities from autistic children, to persons in wheelchairs, to those with hearing impairments and deafness. For further depth into the fascinating story of how this highly scientific and love-based work has developed, find a copy of Love Leads the Way, or find a copy of the movie Love in the Lead. Warning if you do this research, however, make sure you have lots of tissues on hand. Looking forward to seeing both you and Nick this week! I know a couple who train dogs for Leader Dogs for the Blind! They brought in a German Shepherd puppy one day that they would be training, and he was so adorable! (I have a soft spot in my heart for German Shepherds! My first and most loved dog was a German Shepherd.) It is amazing and wonderful how God created animals that can help us, as well as be a comfort! Thanks for posting this fascinating article, Laurie Alice. I enjoyed reading about the history of seeing eye dogs. I have a soft spot for shepherds, as well. We had one in our family for thirteen years. He was huge and gentle. 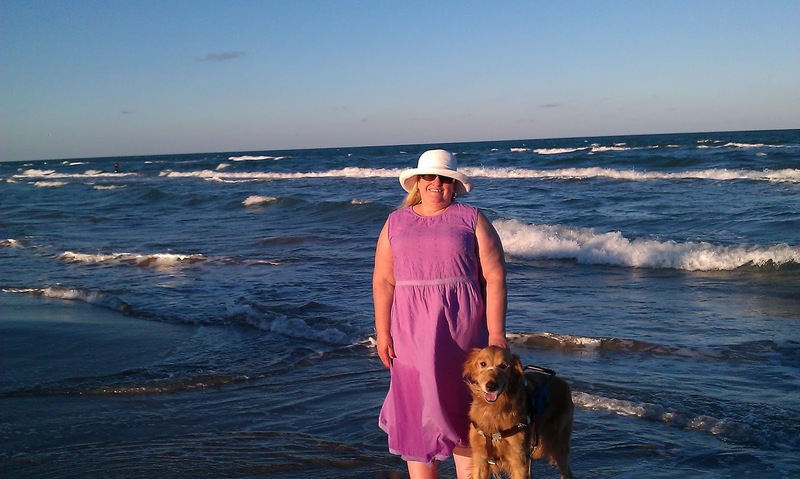 Goldens, however, suit my lifestyle and personality more.